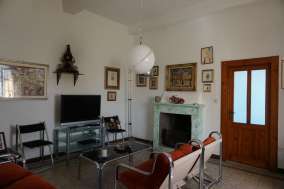 Charming village house with lots of Tuscan features, just 15 minutes drive from Bagni di Lucca. This property has exposed beams in most rooms and some feature stone walls. There are 'graniglia' floor tiles and wood frame windows. Wood burning boiler for the central heating. Large garden, with lovely views. Energy classification: G Performance index: 267 p/kwh p.a.